New York and Las Vegas. Both of these cities have a special place in my heart, but for very different reasons. 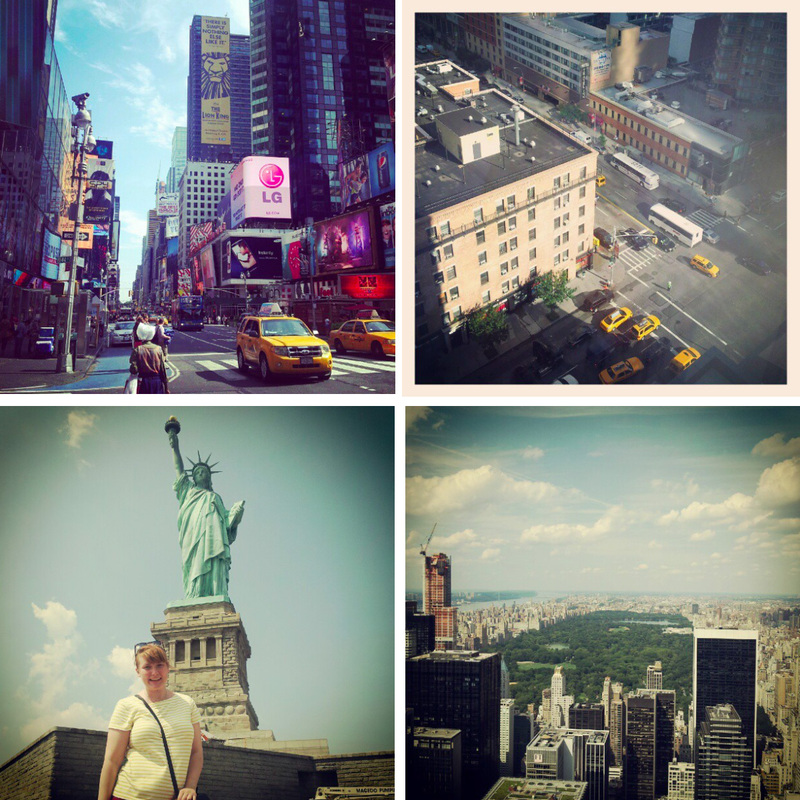 New York was the first long haul destination I ever visited back in 2012. 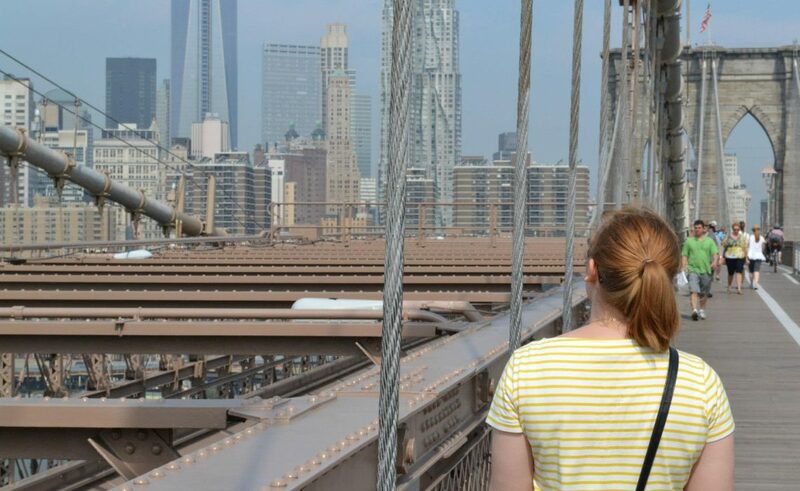 I remember that first afternoon so vividly; stepping off the plane to intense American heat in the height of summer, catching a minibus into the city and being completely awed by the Chrysler building in the distance. There were actual tears that day, mainly of happiness and jet lag and absolutely bewilderment that I was in a city I’d seen in so many movies over the years. Las Vegas, on the other hand, was much more of a slow burner. From the outset, I thought I would hate it. Gambling, endless partying, no sleep? Nah, I’m good thanks. I was pretty sure it would just be a case of dropping in to say hi to Britney, having a jolly day out at the Grand Canyon, and then legging it over to Los Angeles. But by the time I left I had fallen head over heels in love, completely obsessed with the larger-than-life hotels, the insane friendliness and 24/7 lifestyle. Have you ever had one of those destinations that completely surprises you? Las Vegas was just that for me. And yeah, I got pretty obsessed with Blackjack. Don’t mean to brag, but I think I even won $11 on one game. With these two cities being so vastly different, it can be difficult to know just which one to prioritise. Below I’ve summed up my thoughts and opinions on various categories, but I’d love to know yours too. Let me know what you think about the cities in the comments below! Vegas, on the other hand, is one of those places where you feel like no one really gives a crap about you, which is immensely freeing. You can walk down the street and there will be people out on hen dos, dancing Chippendales and tourists unashamedly trying to get the best selfie with the strangest things. Like escalators. It’s a place like no other, because you’re surrounded by skyscrapers and recreations of iconic buildings from all over the world– but, at the end of the day, you’re plonked right in the middle of the desert, with nothing but canyons and mountains in the distance. Two insanely different vibes, but both incredible. In Vegas… I’m not sure food was its forte, I have to say. I don’t even remember anything I ate there, since the food was secondary to everything else. I ate up the top of the Stratosphere hotel. And I had something in the House of Blues. While I remember the venue, I have absolutely no recollection about what I ate. Oops. Anyone have any must-visit restaurants/cafes in Vegas? Both New York and Las Vegas have their fair share of iconic sights. With New York, virtually everything is exciting: even down to the yellow cabs and fire hydrants. (Yes, I took way too many photos when I was there.) And that’s even before you tick off the big hitters, like the Statue of Liberty, the Empire State Building and Central Park. The same goes for Vegas – it seems like every step you take brings you to yet another cool attraction, from the Bellagio fountains to the Pawn Stars shop. The more iconic sights, however, are arguably outside of the city, from the Grand Canyon to the Valley of Fire. In Vegas, pretty much everything goes. There are clubs. Casinos. Bars. Restaurants. Gigs. More than anything, I felt like New York’s moniker of ‘The City That Never Sleeps’ applied more to Vegas – get yourself in one of those casinos, and there’s absolutely no way of telling whether it’s 1 o’ clock in the afternoon or 3am. New York, though, is the place to be if you’re collecting cool points. Ian and I went bowling one evening, and virtually had the whole place to ourselves. We even tried a number of local pubs and bars; places were less packed, things were more chilled, and it fitted with our vibe a whole lot more. There felt like there was a whole lot more here to suit different types of people, with rooftop bars and clubs sitting alongside Broadway shows, themed tours and night-time cruises. Personally, the nightlife at Las Vegas wouldn’t be a reason for me to return to the city, but the nightlife in New York definitely would. This shouldn’t really be a category, but hey, it’s 2017 and we’ve got to consider these things. I was about to write “I’ve never ever seen a bad Instagram photo of New York”, but then I remembered my photos. When I visited New York in 2012, I thought every photo should either have a heavy vignette filter or an ugly, thick border (see below). Other cracking photos I Instagrammed during this time included my student lunch (a Pot Noodle and some toast), plus a text conversation I had about my cat. 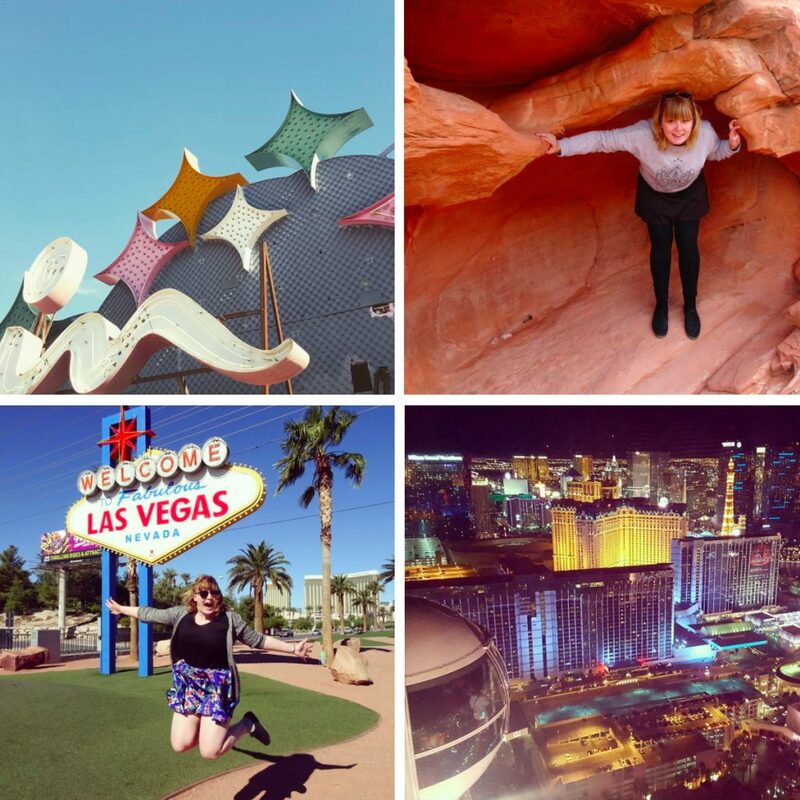 I’m much prouder of my Vegas Instagram photos, which were taken in 2015 when my understanding of borders (i.e. the fact they should never be used) had vastly improved. There felt like there was a lot more variety of what to snap in Vegas, which undoubtedly helped. Saying all that, though, I did feel like New York was a photographer’s dream. No wonder so many visually stunning movies are filmed there! Ugh. Is it me, or are there just SO MANY good deals for New York out there? It’s probably to do with so many budget airlines flying there (and the fact it’s probably the quickest US city to get to from England), but maaan I get tempted to book up a return trip approx 148492 times a week. Vegas flights, on the other hand, always seem pricey AF. I don’t think I’ve ever seen return flights for less than £450, which always puts me off. People don’t realise, though, that the casino hotels are SO cheap because they get most of their profit from tourists gambling, which definitely makes things a lot more affordable when you round it all up. Check out my guide on where best to stay in Vegas, but be prepared to find hotel rooms as low as $20 a night in your accommodation search! As much as I try to pick an overall winner, it’s actually impossible for me to choose between New York and Las Vegas. They’re cities which require totally different moods, but which both offer tourists something completely unique. I’ve waffled on enough now, so I’d love to hear what YOU have to say! Which city do you prefer? Or, if you haven’t visited either of them, which one would you like to visit more? This post was written in collaboration with Netflights, but all thoughts, opinions and love of these fine American cities are my own! I don’t generally post infographics, but their one on New York vs Las Vegas is actually pretty interesting, and has some top tips from a few of my favourite bloggers. 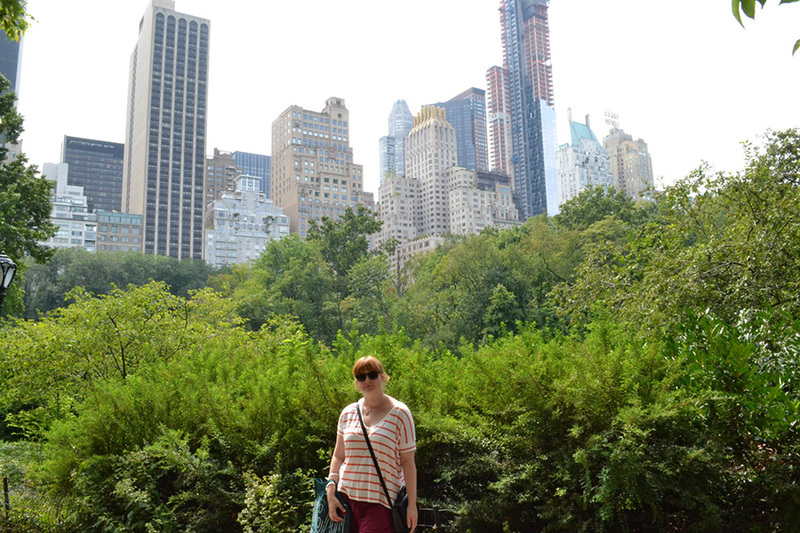 Check it out if you’re still umming and aching over which city to visit first! I love them both but I think if it came down to it, I’d choose New York. 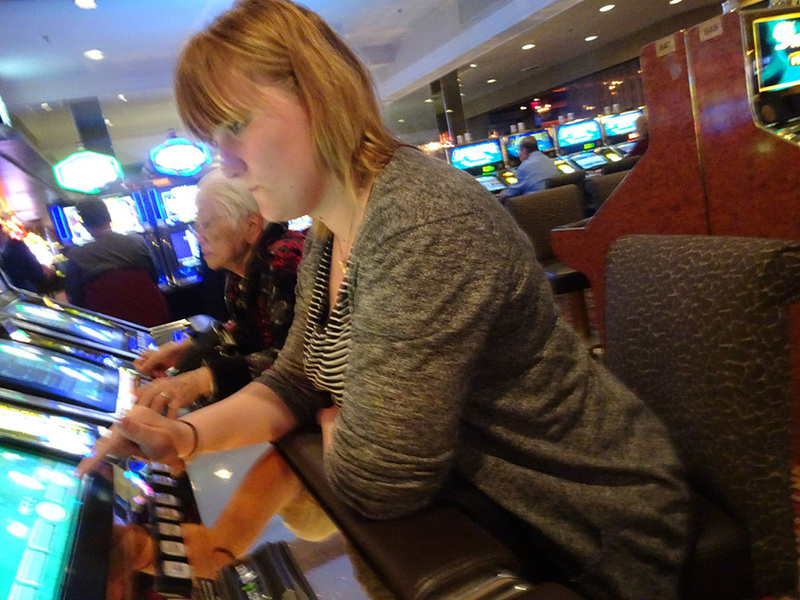 I loved Vegas. I’d happily go back. For a long weekend. I think 2 or 3 nights would be enough to drop in, see a few new places and then leave before I tire of it. The first visit, it’s all mad and everything is just so overdone. I suspect on a return visit I wouldn’t be so wowed, so I think a shorter trip would better. (And $11? Pah! I broke the bank at the Bellagio with my $100 win. Half an hour later. I’d given it back somewhere else. New York I think you can just keep going back to. You’re never going to see it all, it’s constantly changing, and it’s a city for living in, not just visiting. Perhaps it’s not fair to compare them at all?! I’ve been both places, actually live in NYC right now. FYI I’d def try some more places in Vegas next time you go, it’s actually known for having some amazing food places. They definitely sound like apples and pears that’s for sure! There are two things that will get me to go to Las Vegas – the Cirque du Soleil shows and the food. The food offerings have gotten better over the past few years with the opening of restaurants by celebrity chefs. My top OMG recommendations – Fleur & Burger Bar (Mandalay Bay), Picasso, Le Cirque & Todd English’s Olives (Bellagio), Bouchon (Venetian for what may have been the most expensive breakfast in Vegas) & Joel Robuchon (used to be called the Mansion) & L’Atelier Joel Robuchon (MGM Grand). None of these are cheap, but you are paying for incredible food and incredible dining experiences.